In the first paragraph of “A Walk to Wachusett,” the young Thoreau made a leap that is one of the defining aspects of his worldview. He likened or equated Wachusett and other hills west of Concord to the most remote, exotic, and extreme mountains in the world, saying that they “served equally to interpret… the more modern Andes and Teneriffe [sic],” explored by Alexander von Humboldt. Humboldt was the most adventurous scientific explorer of his time, the founder of the science of geography, and arguably also the first ecologist. Thoreau and his friends in Concord had certainly read Humboldt’s first volume about his adventures in South America, Personal narrative of travels to the equinoctial regions of the New continent during the years 1799-1804, which was published in 1814. Thoreau was a Humboldtian explorer at heart, who found his “cosmos” close to home, in and around Concord. Having grown up among western mountains in New Mexico and Colorado, I’ve long been dismissive of the so-called “mountains” of eastern North America; to me they were “kid’s stuff,” hardly worthy of the name “hills.” But to Thoreau and his Concord contemporaries, these high points on the sunset horizon exerted a strong pull of mystery and adventure. 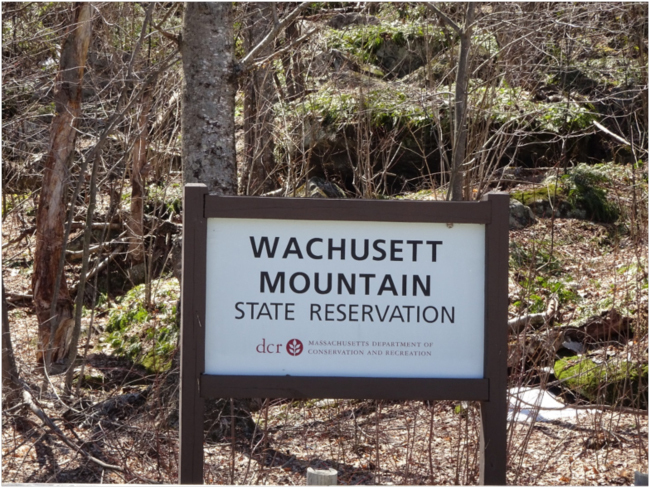 In “A Walk to Wachusett” he mentions Mt. 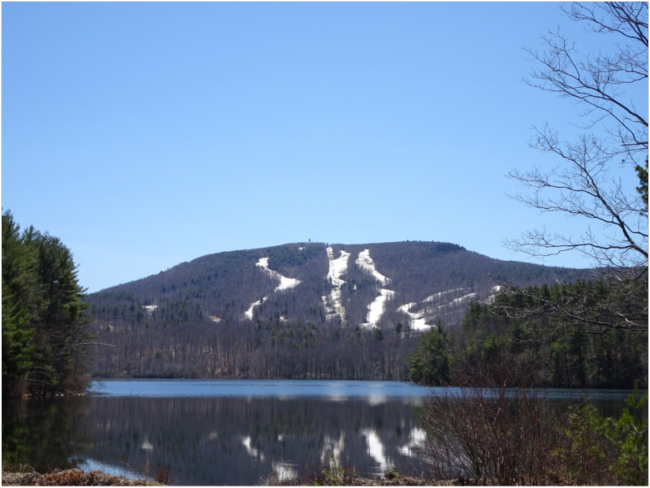 Monadnock – an isolated peak in southeastern New Hampshire about 40 miles from Concord and only a little over 3,000 feet high – as one of the sister mountains of Wachusett. These peaks to which Thoreau referred were nubbins of hard rock that hadn’t been scoured off by the continental ice sheet that ground down the old landscape here. In the second paragraph of the essay Thoreau announces another important piece of his worldview: the continuity, or maybe even unity, of the ecological landscape and the psychological landscape. He wrote that “In the spaces of thought are the reaches of land and water, where men go and come. The landscape lies far and fair within, and the deepest thinker is the farthest travelled.” I don’t think Thoreau saw these two “landscapes” as a dichotomy of “exterior” and “interior,” but rather one and the same – a unified field, a “cosmos” in the Humboldtian sense. His view is transcendentalist; it is ecocentric, rather than anthropocentric; and it overlaps significantly with the eastern philosophies of Hinduism and Buddhism, with which he was becoming familiar. I’ve long been fascinated with the book Steps to an Ecology of Mind (1972), by Gregory Bateson, the polymath anthropologist and husband of Margaret Mead. Thoreau was already discovering – way ahead of his time as he often was – the idea of a geography and ecology of mind in 1842 on his walk to Wachusett. Taking advantage of the fact that my route from Hadley, Massachusetts to Concord passed close by Wachusett, I decided to stop by and walk on the “mountain” of Thoreau’s essay. From my I-phone the calm and confident woman’s voice on Google Maps navigated me along back roads. “In a thousand feet, turn right onto Park Road…” OK, I’ll do that… I have started to trust and depend on her, although a few times she has confused me or led me astray. Does she have a name, I wonder? 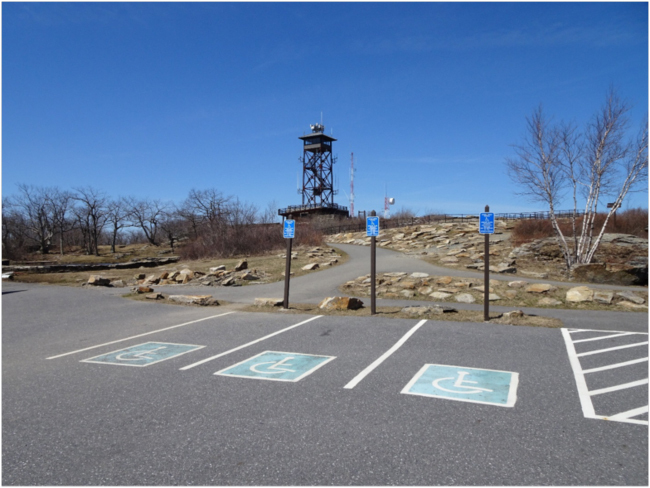 The still-snow-covered ski runs of the Wachusett Mountain Ski Area spilled down the north side of the mountain, and in the parking lot of the Wachusett Mountain State Reservation visitor center piles of snow plowed from a recent spring snowstorm were still melting. The road to the summit was closed for the season, so the only way up was on foot. 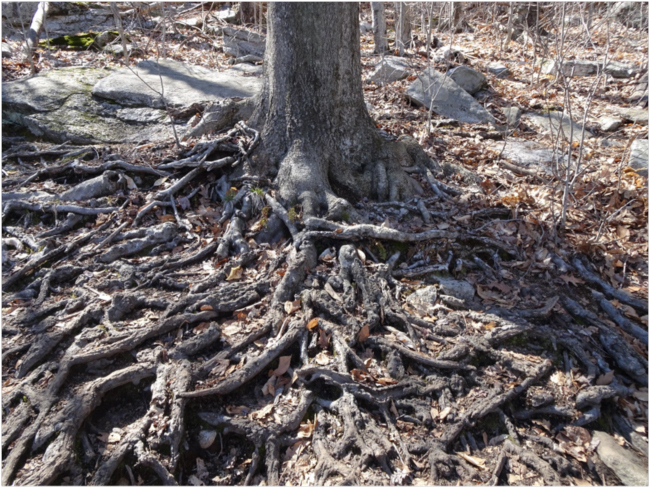 But on this sunny April day I wasn’t alone on my walk on Wachusett. The parking lot was half full, and along the main, most-direct trail to the summit there were couples with their dogs, hiking clubs of oldsters with their trekking poles, families towing children by the hand, and joggers going both up and down. But by adjusting my pace I could walk in relative solitude. When the trail finally broke through the trees at the summit I tried to reconcile my view with what Thoreau saw 176 years ago, struggling to imagine the “sense of remoteness, as if we had travelled into distant regions” that he described. 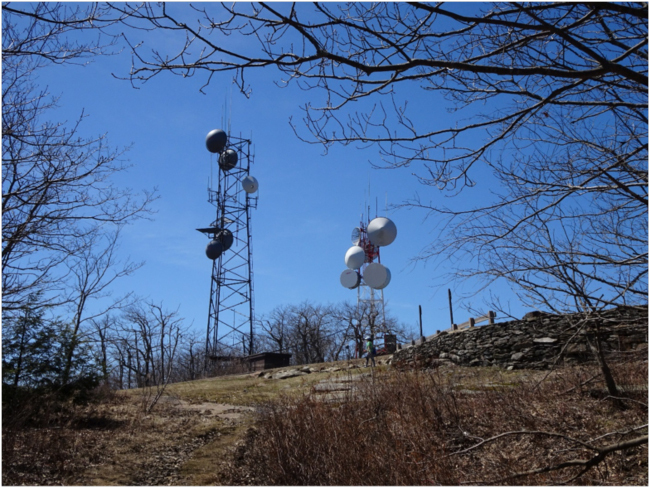 Giant microwave communications towers and a fire lookout now dominate the gently rounded top of Wachusett, and a big parking lot, empty that day because the road was closed, lies below it on the east side. I ate my lunch looking north and west, trying to ignore the crowd of other hikers. On the western horizon I could just make out the low shape of Mt. Holyoke, where I’d walked that morning, searching for the viewpoint of Thomas Cole’s painting, The Oxbow. 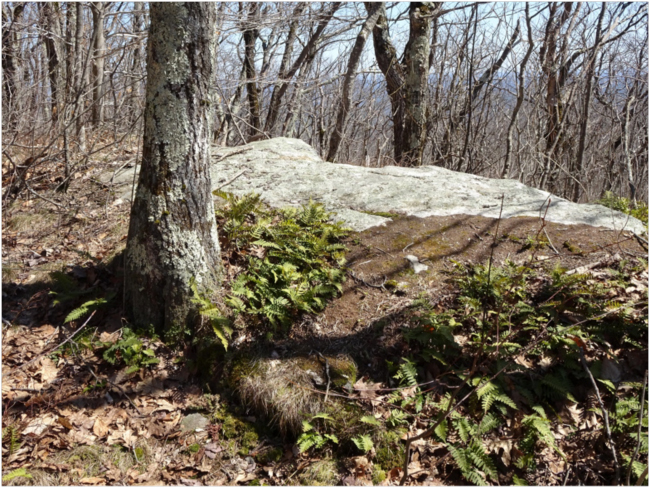 Thoreau described some details of his night on Wachusett: “The blueberries which the mountain afforded, added to the milk we had brought, made our frugal supper, while for entertainment, the even-song of the wood-thrush rung along the ridge. Oh, it sounds so familiar to me, driven into the tent by the wind to read by candlelight on so many nights on my youthful backpacking expeditions to the mountains of my own high country. I took a less-travelled secondary trail on the way back down to my car and saw only two other hikers. Woodpeckers hammered on sunny trunks of still-leafless trees, and I stumbled over tangled roots and climbed over the occasional fallen trunk yet to be cleared from the trail after winter. It was a glorious spring day. I thought of a line from the poem Thoreau embedded in his essay that gave away his transcendentalist spirituality. Speaking to the mountain, he wrote “Through your defiles windeth the way to heaven.” Thoreau’s nature-writing heirs – John Muir and John Burroughs, for example – also expressed related ideas. After climbing Cathedral Peak in Yosemite – a real mountain! – Muir wrote “This I may say is the first time I have been at church in California, led here at last, every door graciously opened for the poor lonely worshiper. 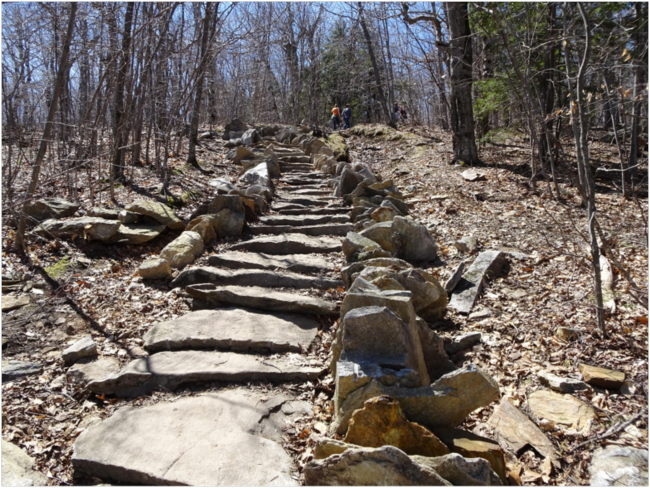 In our best times everything turns into religion, all the world seems a church and the mountains altars.” Thoreau’s walk on Wachusett first blazed the trail into that ecophilosophical high country we’re still exploring. At Church with John Muir. August 2014. Nature’s Warm Heart: Following John Muir’s Footsteps at Fountain Lake, Wisconsin. June 2016. An Afternoon at Slabsides with John o’ the Birds. May 2015. Another Visit with John Burroughs at Slabsides. May 2016. Morning Visit with Aldo Leopold at the Shack. June 2016. Thoreau: A Life. 2017. Laura Dassow Walls. U. of Chicago Press. Alexander Humboldt. Personal Narrative. 1814. Thank you again for another ecological journey of the mind. You’re welcome, Charon! Glad if you enjoyed this little ramble. Thanks for this lovely essay on Thoreau’s travels and astonishing mind. I sent this to a colleague, an English prof who is co-appointed in Environmental Studies. She is a Thoreau geek par excellence doing research on Thoreau’s natural history journals at the Morgan library, studying them in that beautiful reading room…the originals! Did you know the Morgan has this collection? Thank you, Greg, for that feedback, and for sharing this with your colleague doing research on Thoreau. I didn’t know the Morgan Library had his original journals. I’m envious of your colleague getting to study them. A few years ago I had the chance to hold and read John Muir’s journal from his trip to see Araucaria (monkey puzzle trees) in Chile, in the John Muir Collections at the University of the Pacific, and I found it quite moving to hold the original in hand.